I recently attended the annual Ladies Christmas Social hosted by my friend Debbie Skaggs. Every year we gather together to celebrate Christmas, and everyone brings something delicious to eat, along with a copy of the recipe. This year I had two favorites, and this is one of them. Lanell Lange brought these sliders. They were such a hit that they were gone before I had a chance to go back for seconds. One note, if you are not a fan of Miracle Whip (which I am not), don't panic. I had no idea it was in the recipe until I read the list of ingredients, so give it a try. In a small bowl, mix together mayo and miracle whip. Spread onto both sides of each roll. 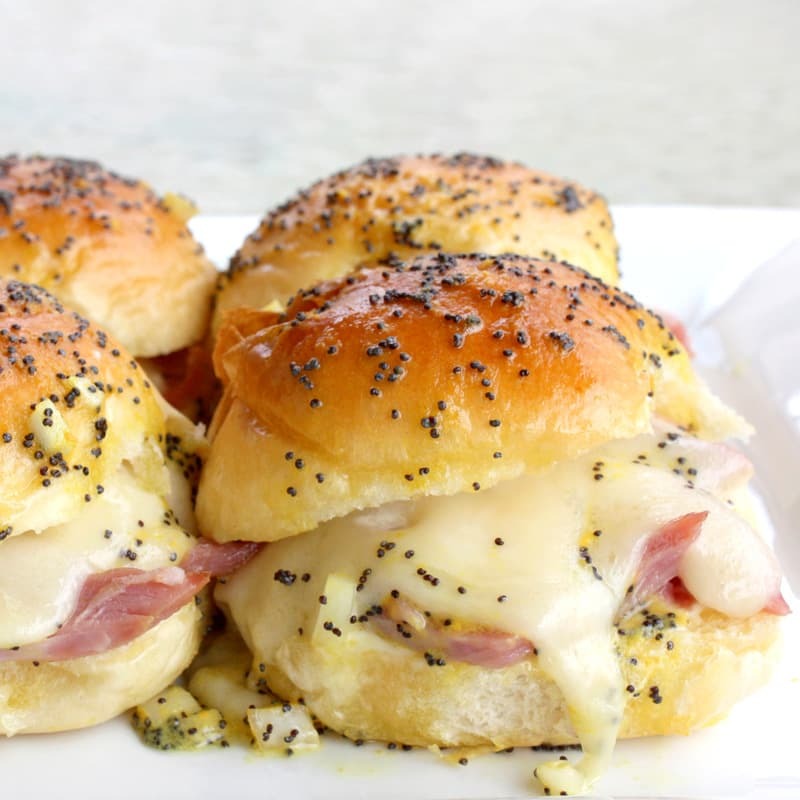 Place a slice of ham and Swiss cheese inside of each roll. Close rolls and place them close together, on a cookie sheet lined with parchment paper. In a medium bowl, whisk together all of the poppy seed sauce ingredients. Pour evenly over all the sandwiches. Cover with foil and bake at 350 degrees for 12 - 15 minutes.